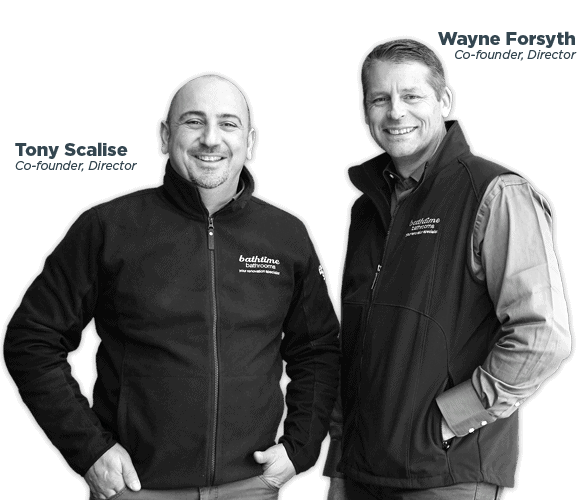 After working together for over 18 years perfecting the art of bathroom renovations, Tony and Wayne combined their skills and expertise to form Bathtime Bathrooms. Their strength lies in their combined knowledge and experience linked with a deep dedication to customer service. 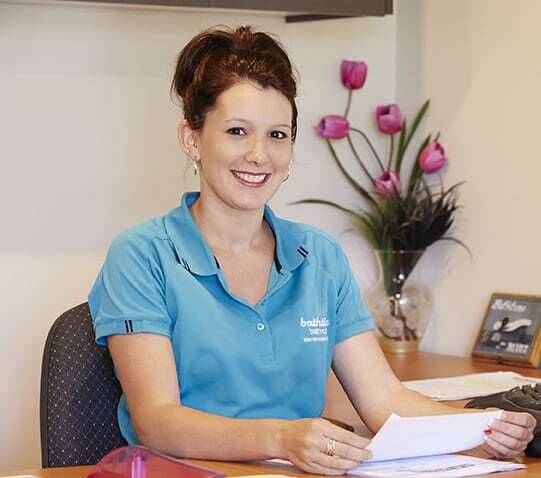 We are members of the housing industry association and the master Builder association of Victoria. Our trade-qualified personnel and representatives are registered and licensed within their respective fields. We work as a team and together hold the same values and objectives on each project we undertake. Our team of tradespeople understand the importance of getting the job done in a timely and efficient manner, while maintaining the highest degree of quality and service. Our customers expect nothing less for their bathroom, kitchen or laundry renovation. One policies include cleaning up after ourselves at the end of every shift. 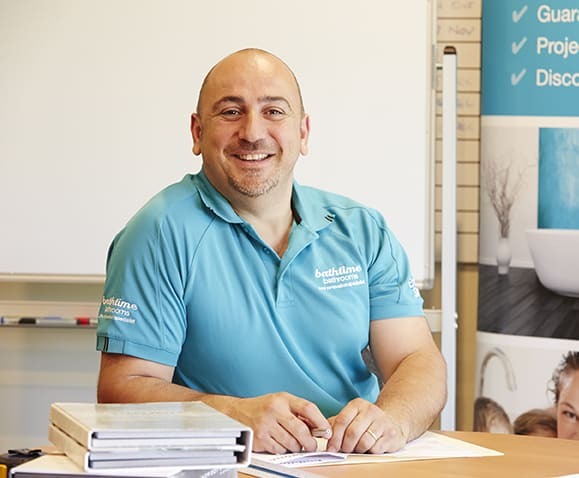 You deal directly with your job supervisor who is there to guide the tradesmen through the renovation process and to ensure you know which tradesperson will be working at your home and on which day. Tony and Wayne know the value of choosing the best professionals for our team. Unsure about your selection of tiles for your home renovation or investment property? Don’t pour over mountains of brochures trying to guess what will suit your home or design project. 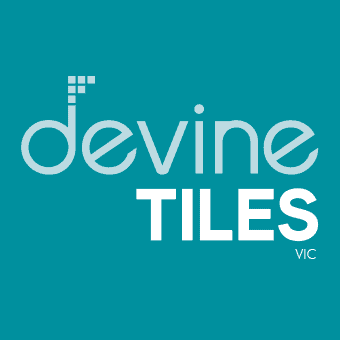 Come into Devine Tiles and check out our showroom FULL of different tile styles, colours and designs! You’ll be amazed at the different selections you can choose from at our huge showroom display. Our experienced staff have the expertise and decorating know-how to assist you in your selection. We offer quality Italian, Spanish and marbled tiles that will delight you. You’ll find just what you need to match your project budget. At Devine Tiles, you’ll find modern greys to suit your bathroom, whether you’re looking for floor to ceiling tiling, feature walls, niches or patterned highlights. We have the perfect colours and shapes for wall and floor tiles to give your entire house a fresh, modern makeover that are durable and practical as well as great to look at. We display an extensive colour range to match your specific design style from Federation to modern in different finishes to suit all needs. Give us a call today to arrange a time to speak to our experienced staff and view our complete range. Or walk into our spacious showroom to see our extensive selection for yourself. Our team are on hand to have a friendly chat and offer you all your information and options. Gather all of your thoughts and ideas of your dream bathroom and tell us what you would like to achieve. The more information you provide us the easier it will become for us to turn your vision into a reality. We offer free obligation measure and quote in the privacy of your own home. Once we have viewed and assessed your existing bathroom, we then offer you options and solutions tailored to your needs and budgets. We then prepare you with a free quotation on your bathroom renovation and email it to you within 3 business days. Included with the quotation, you will find a shopping list with options on choosing your products. Once you’ve accepted the quote for your bathroom renovation, Bathtime Bathrooms will then provide you with a standard terms and conditions agreement which includes our payment structure. Your deposit will initiate the project. Each project will be assigned a Project Manager, and therefore any questions you have in relation to your renovation can be dealt directly with your appointed Project Manager in a timely manner. After all the hard work has been completed by our tradesmen, we move into the project location and do a final checkup and clean up after ourselves. Then you’re ready to enjoy your new bathroom. Our vision is to be acknowledged as a leading bathroom & kitchen renovation company providing excellent & quality workmanship. Our dedication is to provide our customers a friendly honest & professional experience with good old fashioned values. We uphold our culture and beliefs. Any renovations over $5,000 require fully licensed professionals. Bathtime Bathrooms are registered Builders, and Registered Plumbers with years of experience in renovation. We only use highly skilled trade people who are licensed in their respective fields of work. Do you have appropriate insurance? Bathtime Bathrooms is fully insured, including Work cover, Public Liability and contract works insurance. As per legal requirements, we provide homeowner’s warranty insurance for any residential work over $16,000. 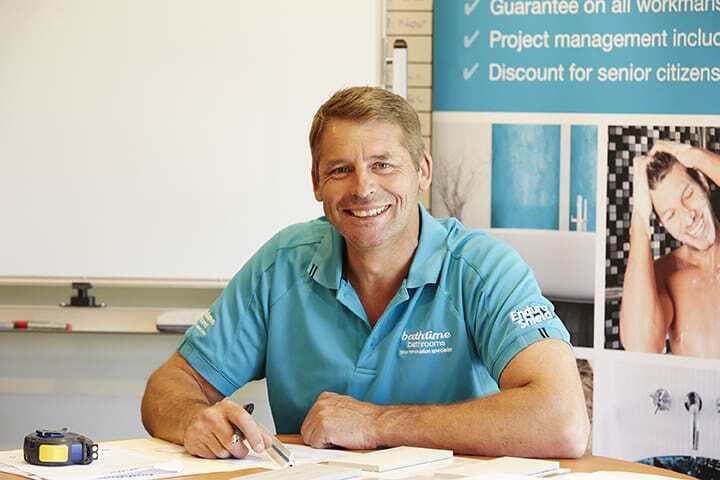 Each tradesperson in our team holds their own insurances to cover their workmanship. Cay you help us design a bathroom what works perfectly for us? Feel free to discuss your design idea with one of our experienced designers when they come for your first consultation. Understanding your vision and lifestyle will help them create the best design for you. With over 30 years hand’s on experience in the building industry, Tony and Wayne have pulled together their talents and focused their energy into specializing in bathroom, kitchen and laundry renovations. How long does it take to renovate a small bathroom? Depending on the complexity of the renovation, we typically allow 20-25 working days from start to completion. Can you help us choose our own fittings, fixtures for our renovation project? We can assist you with the selection of colours, fixtures & fittings . We have a concept showroomin Springvale where you can choose your tiles, and bathroom products. We can arrange a meeting with you to assist with your selections at your request. Who is responsible for cleaning up through out the project? Renovations can be messy. We pride ourselves on leaving your premises clean. We take all the rubbish away during demolition and minimize the mess by using zip-up plastic shields, drop- sheets, floor protectors and exhaust fans. How do we manage without our bathroom during the renovation? We can providetemporary toilet and shower amenities (at a cost) for the duration of the project if you are unable to make other arrangements. Can you provide us with testimonials from previous customers? Past testimonials are on our website. We also receive feedback from our customers on the Word of mouth & Houzz sites, as well as our Facebook page. Bathtime Bathrooms provide a full guarantee on all of our workmanship. Materials and supplies carry their own manufacturers guarantee. Are we able to live in our home at the time of renovation? Yes. We try to make the renovation process as least intrusive as we can. Your bathroom will be out of use for the duration of our renovation. you will possibly be out of water and power for up to 2 hours of the renovation process in total. How long after we accept the quote will work start on our renovation? Once your deposit is paid and the agreement form is signed, we set a start date taking into consideration time to finalize the ordering and delivery of your fixtures, fittings and tiles. Who manages the overall project? Bathtime Bathrooms is revolutionizingthe way in which our projects are managed, scheduled and collaborated using the latest software technology to streamline our projects communications. A project manager is allocated to your renovation project. We prepare a site management folder which contains all relevant information and working drawings. What other renovation services do you provide? Bathtime Bathrooms has a great reputation in bathroom renovations. We have extended our services to include kitchen and laundry renovations. We have outlined the complete list of what we do our service page. You can view projects including kitchens and laundries in our gallery. Can you custom make vanities and laundries? 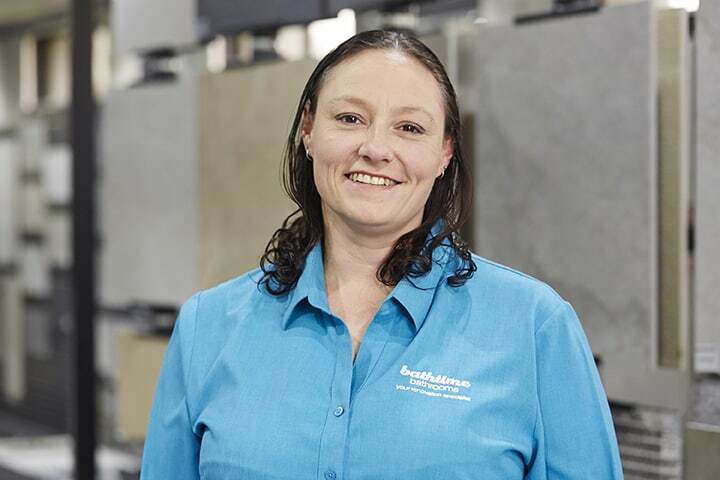 Bathtime Bathrooms understands that you want your bathroom, laundry or kitchen to include the perfect fittings for functionality and appearance. Ask us about our custom built vanities, shower screens, kitchen and laundry cabinets. 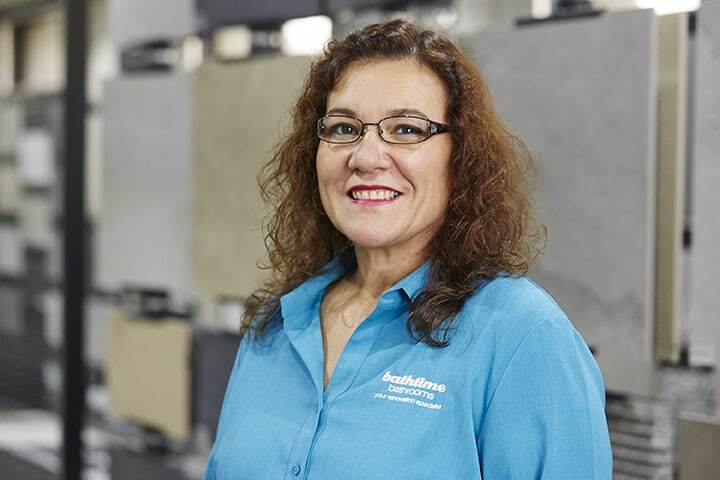 Bathtime Bathrooms have now teamed up with Devine Tiles to create a beautiful concept showroom to make selecting tiles and bathroom products specifically for your project so much easier. You can be assured you are receiving the best advice to individually suit your project, along with trade pricing for all of your selections.